We believe that great design should be simpel, easy to use and from sustainable materials. This is why we have designed a wall mount for the iPad that is very simple to use and is created in wood from sustainable forested wood. 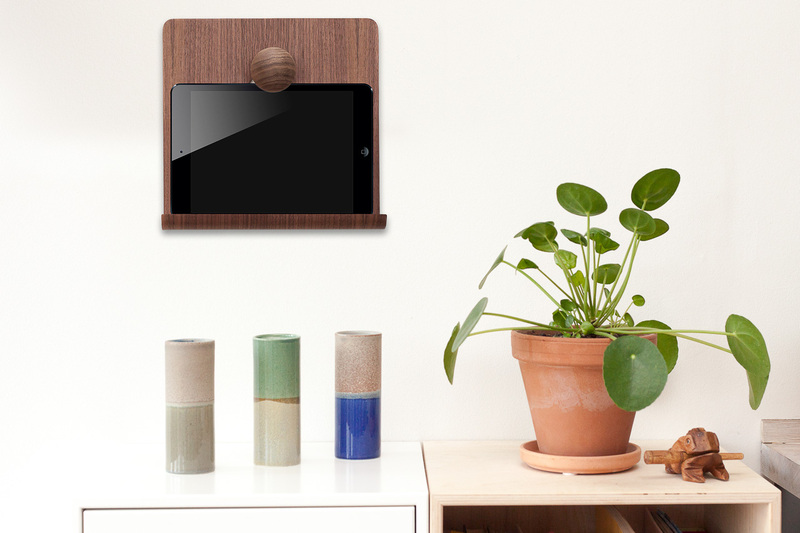 The iPad wall mount is very like our other designs and have the same modern nordic feeling. We call the wall mount “The iPad Hanger” as it resembles a hanger – not for shirts but for your iPad. The wall mount make it simple to use and move the iPad around your house and use it for different things. You can mount it in the kitchen to look at recipes, in the living room to control you iTunes library and you can even put in children height so your kids can enjoy their favourite games and movies. We like to use it in the kitchen when we follow recipes or watch videos – it never been easier to follow complex recipes and redo the masterchefs. Another favourite is for our daughter who love to watch movies and play games and we can relax knowing the iPad and daughter is safe. Another good use is in showroom where you use it to display product images or use it to take payment using iZettle or another solution. 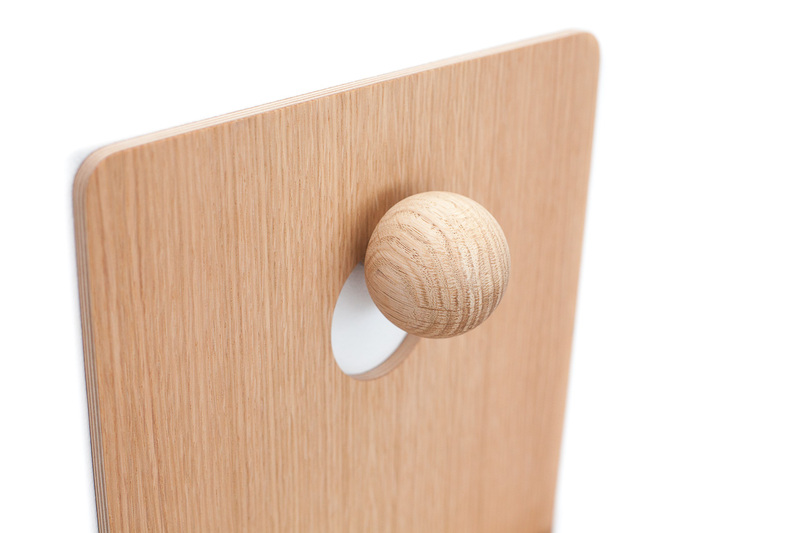 We manufacture the iPad wall mount in oak and walnut and have designed a model for de newer iPad Air’s and the older iPad Retina models. The wood we use is from sustainably sourced and PEFC certified. It’s very important for us that we use materials that is not harmfuls to our selves or the environment which is why the production comply to the EU Ecolabel. We believe that sustainability starts with ourselves! And thats why we take care of you and the environment!